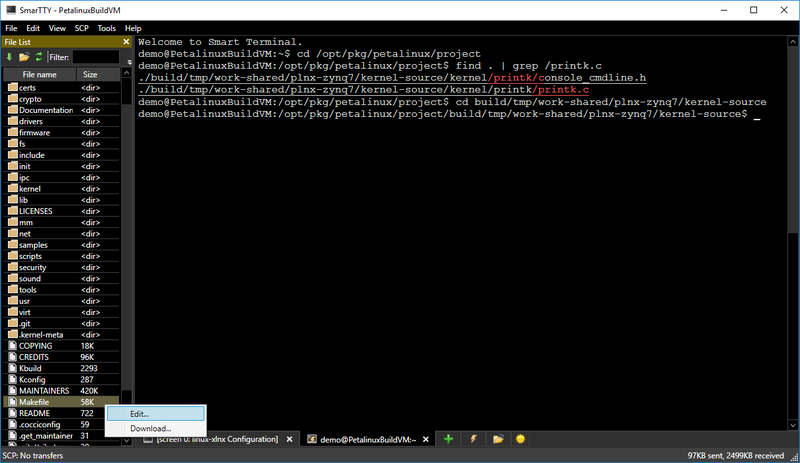 This tutorial shows how to prepare a kernel built with the Petalinux tools for importing it into VisualKernel and creating kernel modules for it. 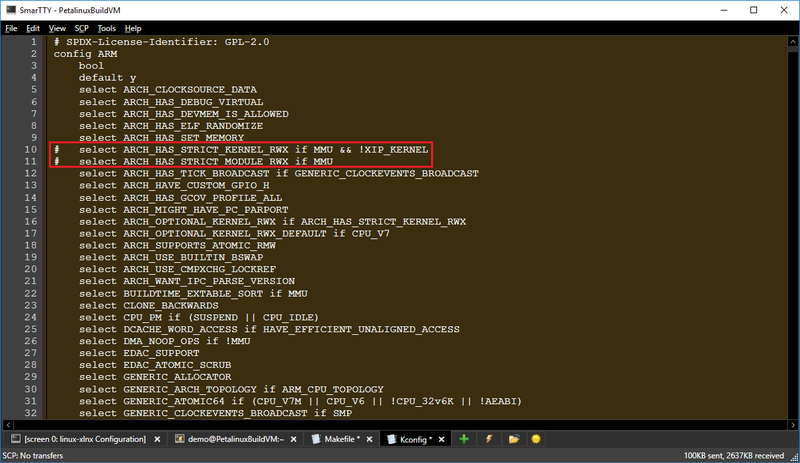 We will start with a basic Petalinux project, modify its settings to support debugging and will show the parameters necessary to import the kernel into VisualKernel. Enable debug symbol generation so that the debugger can step through the kernel source and unwind stack traces. 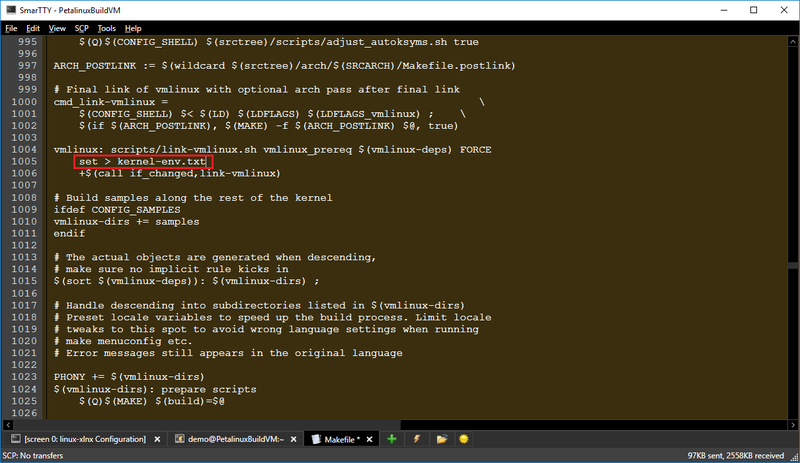 Disable the memory protection attributes on the code sections of the kernel and modules, so that VisualKernel can set software breakpoints there. 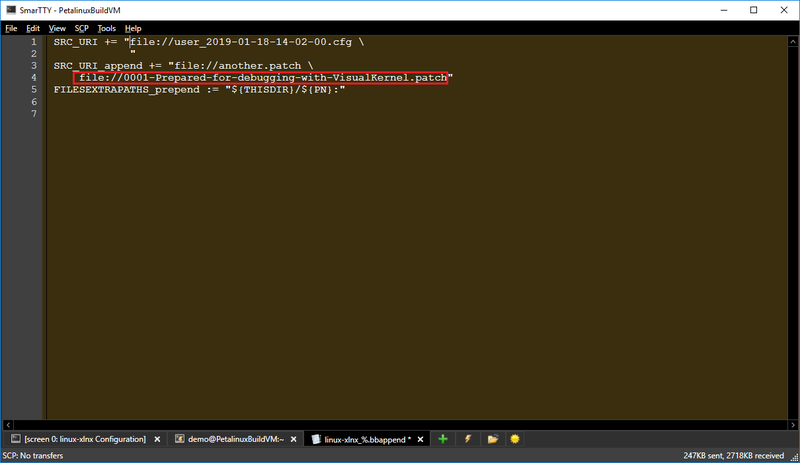 Modify the kernel build scripts to dump the environment variables set by Petalinux so that VisualKernel can automatically configure IntelliSense. In the rest of this tutorial we will provide detailed steps on accomplishing the tasks above. 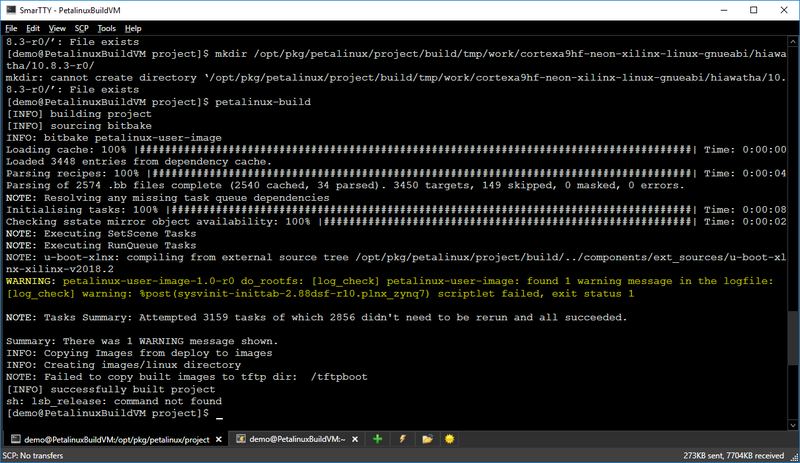 Ensure you have a Linux-based machine (or a VM) where you can run the Petalinux tools. 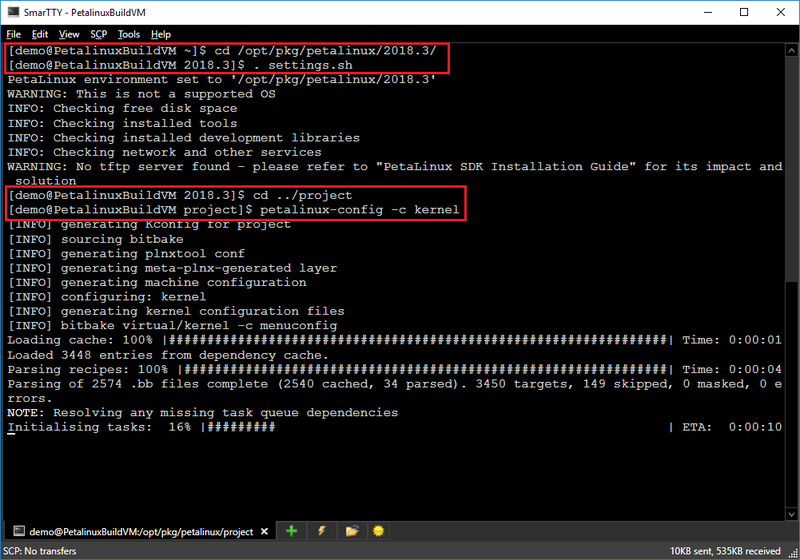 Download and install the tools from the Xilinx website and copy your Petalinux project to the same machine. 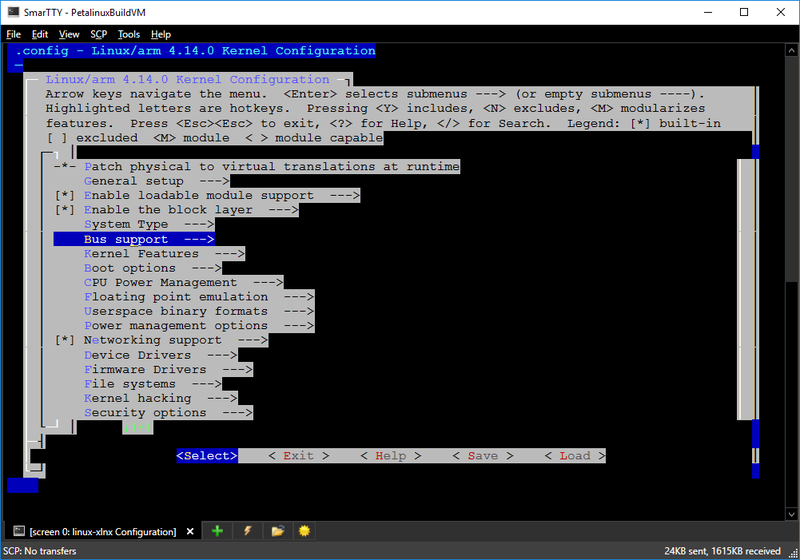 Note that as of March 2019, the Petalinux menu background appears distorted when accessed from Windows SSH clients. This does not affect the functionality. 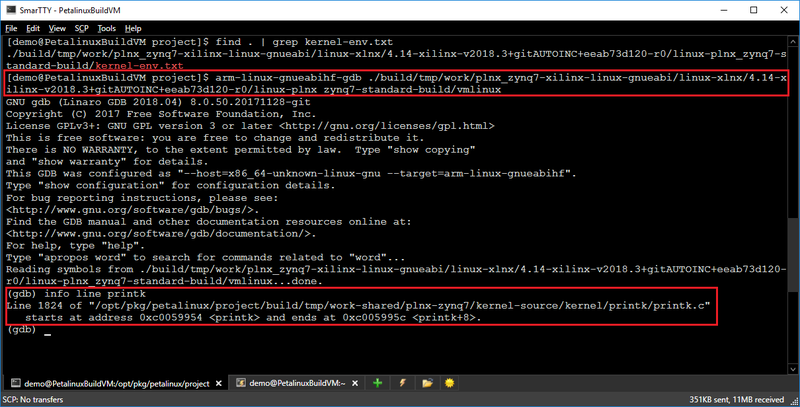 Once you close the menu, the Petalinux tools will delete the Linux kernel source files, so if we want to modify them to disable memory protection and support environment dumping, we need to do it while the menu is open, obtain a patch file and integrate it into the Petalinux project. This will allow software breakpoints (not limited to hardware breakpoint registers) inside the kernel and the modules, however would decrease the overall kernel security. Hence we only recommend to keep this option during debugging. 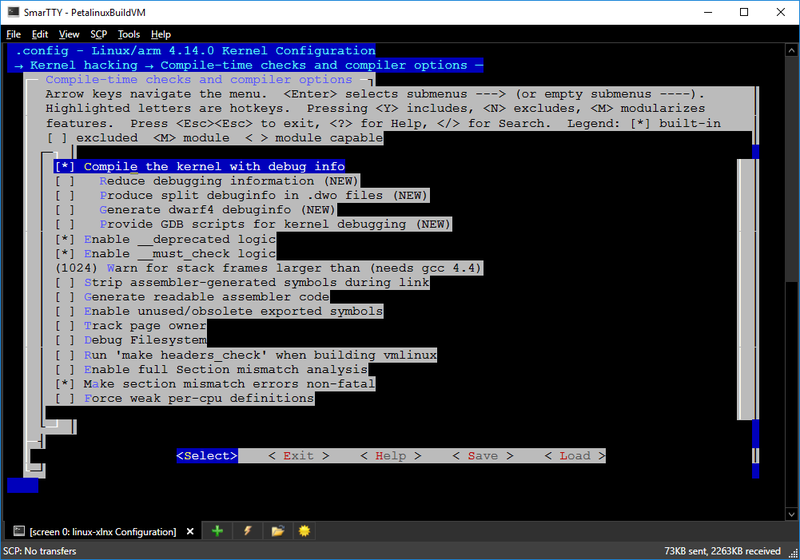 git commit -a -m "Prepared for debugging with VisualKernel"
This will create a patch file that can be automatically applied to the Linux kernel. 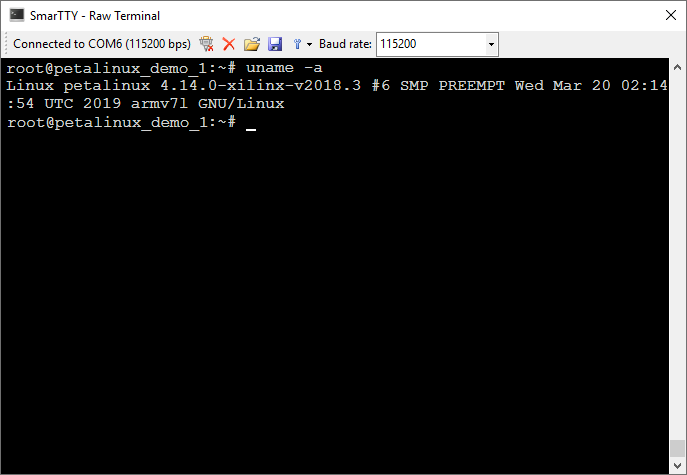 This will convert the dump from the ‘set’ command into a shell script that can be loaded using the ‘.’ command.